Welcome to the first episode of Traverse Talks. A new regular series from the Traverse team in which we’ll be speaking about different topics from the world of digital influence, marketing and events. We’ll be releasing each episode simultaneously as both a podcast and YouTube video, along with a small blurb here on the Traverse Website. Along with a new topic for each episode, we’ll also be speaking to a new guest, or guests. We’re were lucky enough to be able to welcome the fantastic Julie Falconer to Traverse Talks for the first episode of the show, where we talked about authenticity, fake followers, ethics and bacon. Ahead of recording, we took some questions and discussion suggestions from people on the Traverse network, in the video and podcast we mentioned various links that are worth following, these are all listed at the bottom of the article. 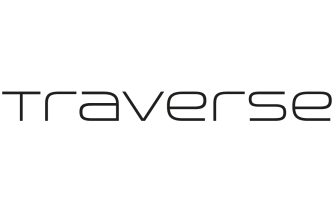 If you’d like to submit a question for a future episode, or suggest a topic for us to cover, just drop us a line over email or tweet using the hashtag #TraverseTalks. We make sure to address every suggestion we get and ask all appropriate questions when we have time. Thanks again to Julie for helping us get this fist episode, and the series, off the ground. The second episode will be coming soon, watch this space for an announcement on the guest and discussion topic. Please feel free to share this, like, subscribe, comment, you know the drill! Go easy on us though, it’s our first recording! Q1) 1:53 – What would you say defines an authentic follower? Q2) 4:11 – Is there a difference between being authentic or being genuine on social media? Q3) 9:19 – How do you feel when brands work with people who seem to be using bots or gaming social media? Q4) 14:24 – Tips to spot if someone is gaming social media or whether they are genuine? Q5) 18:57 – What should be done about influencers who have built up a huge following on social media with bots that are taking business away from authentic influencers? Q6) 20:56 – Do you think it’s too risky to just be on Instagram? Q7) 22:33 – What do you do to ensure your social media accounts stay in the spotlight? Q8) How do people go about gaining followers authentically? Q9) You worked with BBC Travel in the past. Did you find working with them gained you a lot of attraction on your own account? And also, how did you get with them in the first place? Q10) 29:15 – Do you research into what content performs well and at what time of day etc. ?